The Ocean Pointe/Hoakalei development is located adjacent to Fort Weaver Road north of Papipi Road and is anticipated to be fully built out by the year 2020. 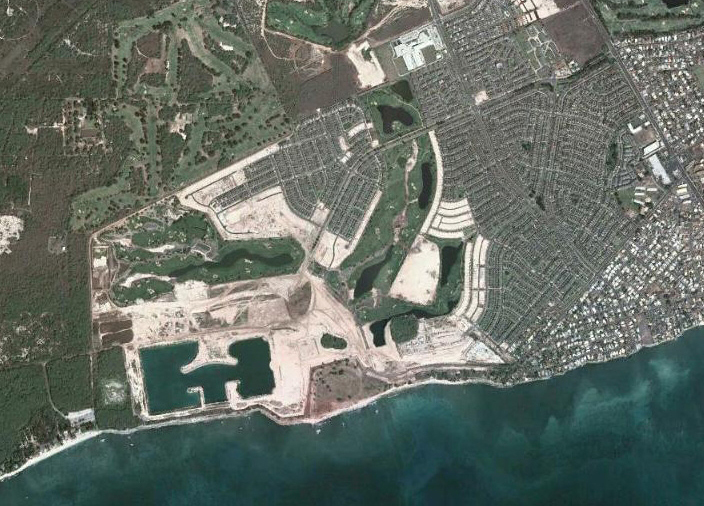 The development will ultimately include six residential areas consisting of single and multi-family homes, an 18-hole golf course, and a lagoon area that includes a resort with commercial/retail and office areas. As of 2017, five of the six areas within the development have been completed or is in the process of being completed, with the remaining area currently being planned. The remaining area will include resort commercial uses. WILSON OKAMOTO CORPORATION provided traffic engineering services for the preparation of the “Traffic Assessment Report – A Technical Memorandum Update” for the Ocean Pointe Master Plan prepared in 2006 (prepared by another consultant). The assessment incorporates completed portions of Ocean Pointe/Hoakalei development in Ewa on the island of Oahu, revisions to the Master Plan for the remainder of the development, other planned developments in the vicinity, and the incorporation of alternate modes of travel into the Master Plan. Based on the analysis of the traffic data and the proposed master plan, recommendations including a roundabout, lane modifications at certain intersections, and additional bike lanes are anticipated to be implemented. The Transportation Master Plan may be updated every 2 to 3 years, to verify the projected conditions and accommodate any unforseen traffic conditions.